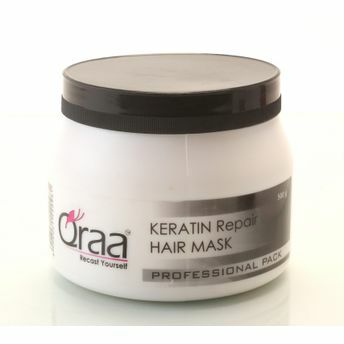 If healthy and smooth hair is what you desire, then Qraa Keratin repair Hair Mask is just the perfect solution for you. Infused with advanced keratin micro technology, it directly penetrates through your hair to start the repairing process from the within. Ideal for damaged and dehydrated hair its formulation has no side effects. Don't let your damaged hair be an obstacle for that ideal hairstyle you have always longed for. Let Qraa help you gain those luscious locks for a great looking hair. Explore the entire range of Hair Creams & Masks available on Nykaa. Shop more Qraa products here.You can browse through the complete world of Qraa Hair Creams & Masks .